If you’re looking for a few tried and tested tips for raising children, Maria Borrallo may be the woman to ask. She’s helping to raise three of the most famous children in the world, but Maria Borrallo is taking it all in her stride. Born in Madrid and educated at the elite Norland College in Bath, she has scored the most sought after, yet challenging, nannying gig in the country. While older members of the royal family are often criticised for their backward approach, it appears the new generation of the monarchy are moving with the times, especially when it comes to the care of their children. “It doesn’t have to be strict,” Louise said. “Just because Norland nannies wear the brown uniform, they look quite old-fashioned, doesn’t mean their message is old-fashioned.” That being said, Maria has set strict rules that the children must adhere to, including a 7pm bedtime, and uses positive reinforcement through a sticker chart – we couldn’t imagine putting any of the Cambridge’s on the naughty step! George, Charlotte and Louis seem like relatively normal, well behaved children despite their VERY unique family so Maria (and William and Kate of course) must be on to something! How would you feel about hiring a nanny? Let us know in the comments! Wouldn’t it be nice to have a nanny to help out! Kate is a very “hands on” mother. It helps provided they use the same phrases for circumstances as they arise as do a lot of staff at good childcare centres..
Set some rules and adhere to them – Never change them and children will grow up accepting that there are certain things you are not allowed to do – worked for me. In my current life – no to a nanny. If I was a royal then probably yes due to offical engagements. Personally I would have liked a nanny. I like doing things myself, in particular taking care of my daughter. But when you are a Royal everything is different. And I think William and Kate chose a great nanny!! I meant “I wouldn’t have liked a nanny”. Sorry. 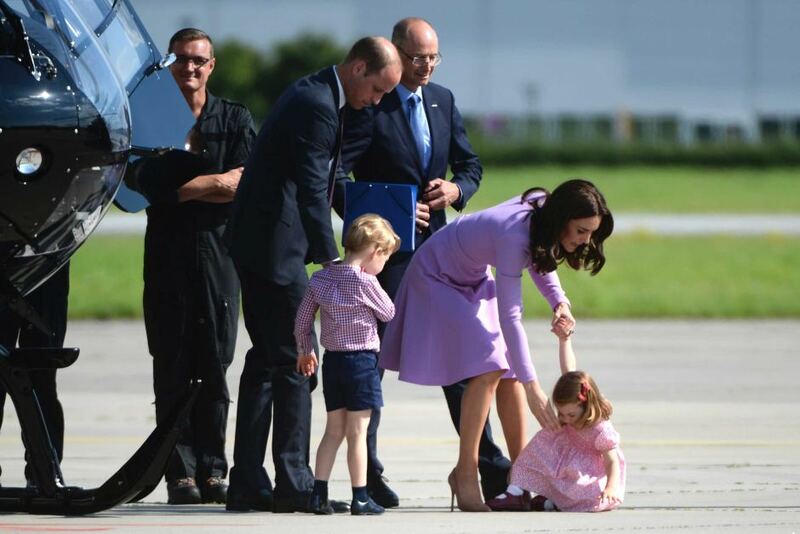 I think it’s a bit unfair if Kate and Wills are judged because their kids behave normally – ie tantrums, uncooperative etc. It is normal as children grow for these things to occur regardless of being a royal. Having a nanny depends on your circumstances and finances. I imagine it can have it’s pros and cons. A nanny would be very handy if you could afford one but I’d prefer a cleaner.